Do orange and green even go together? Don’t get me wrong, I have seen many people wear orange and green together, and it does look good, but it is very hard to pull off. Why am I talking about these colours you ask? 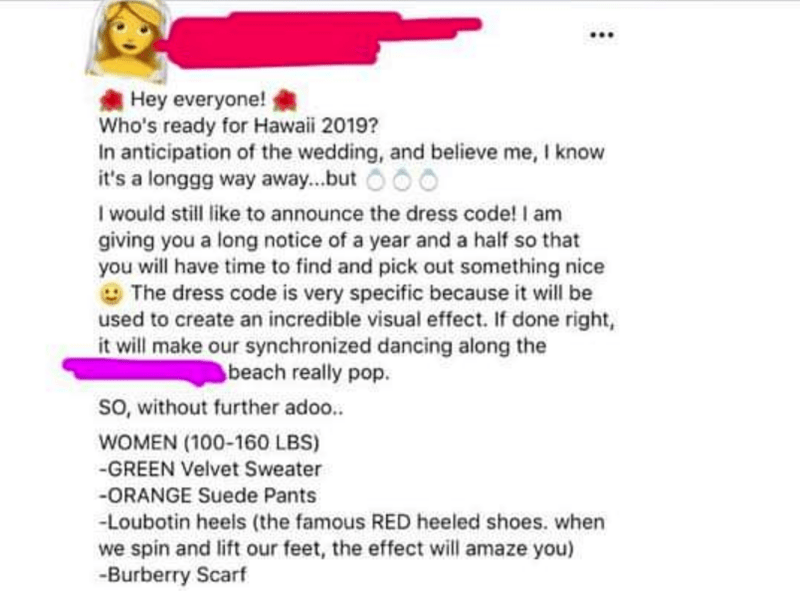 Well, It all started when one bridezilla decided to post her wedding ‘dress code’ which includes every female under 160lbs to wear a green sweater and orange pants with Louboutin heels. Yes and that is just as disastrous as it sounds. Did I mention that the wedding is on a beach? So just imagine wearing Louboutin heels in the freaking sand! Who thought this was a good idea!? 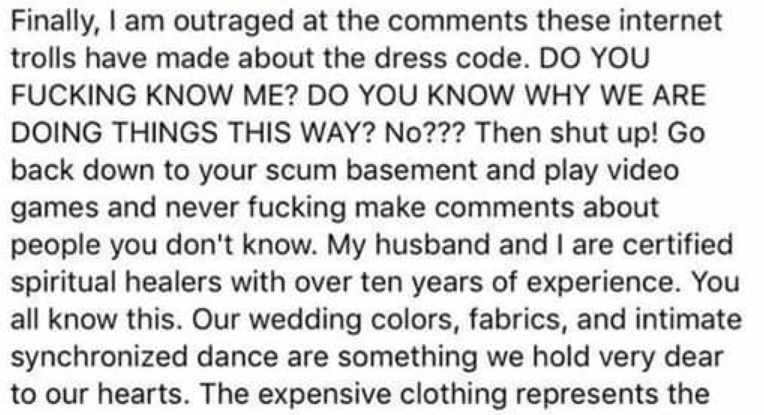 Well, this lady did, and when her post became viral (Of course, it was bound to happen.) 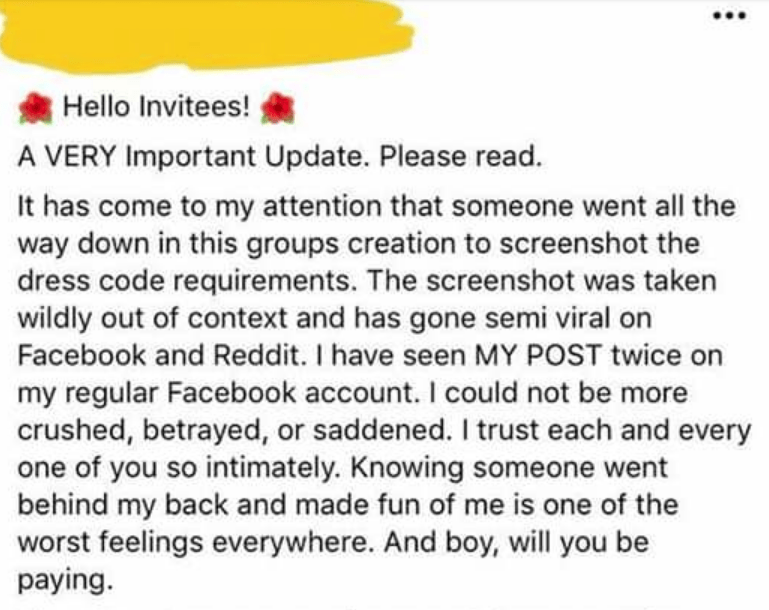 She got pissed off and made another bullsh*t post inviting everyone to a polygraph party. Just scroll on below and take a look at her own words. And how will we be paying? I don’t think she realised that even this post would end up on the Internet. Wouldn’t it be great if no one showed up to her party? What the heck? Are you asking your guests to clean up after you? Wait, So she is representing all the apparently ‘fat’ people by the devilish colours? 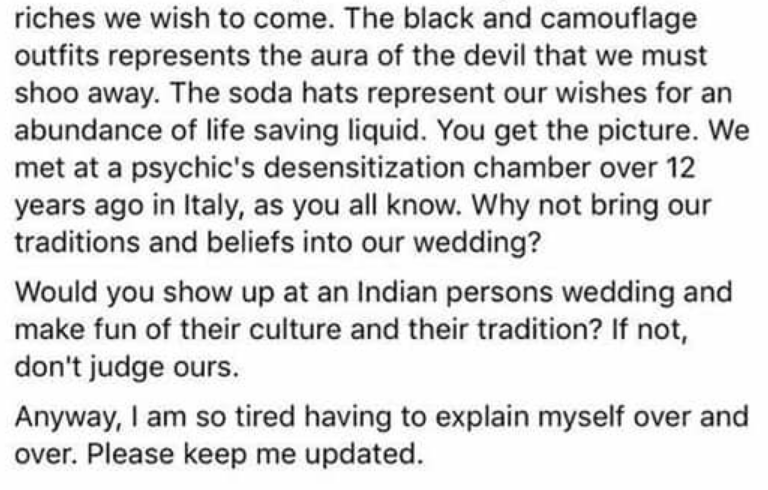 This is the original post if you want to take a look. Well at least anyone over 200lbs doesn’t have to spend an ungodly amount on tacky clothes. 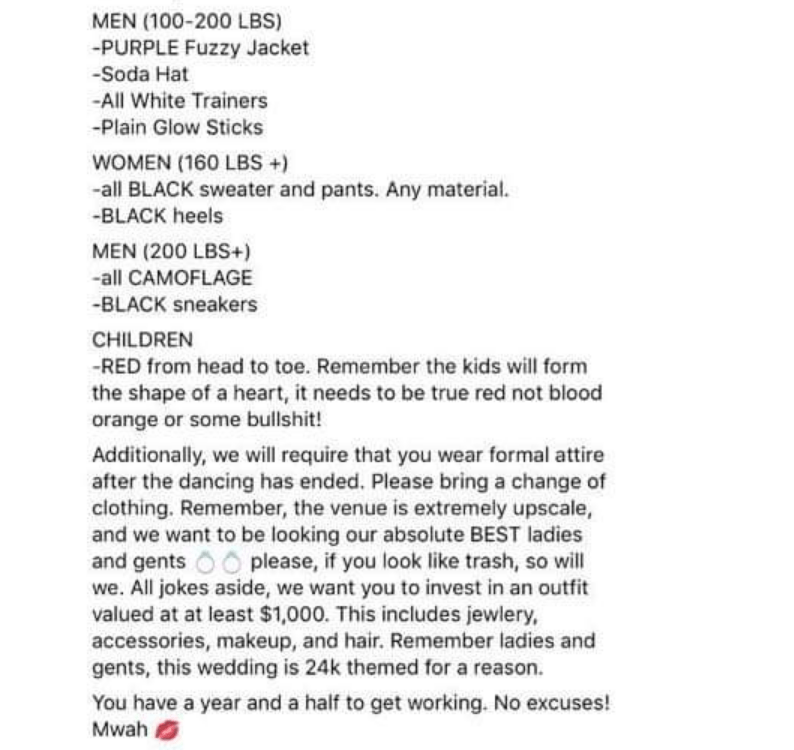 Do you have any thoughts about this tacky wedding? Comment down below and let us know.